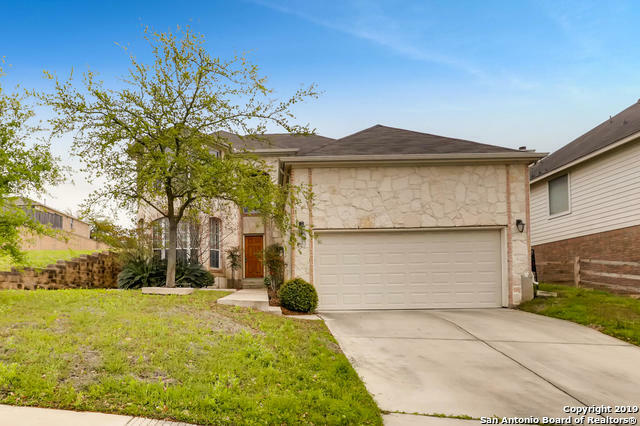 All ENCINO RIDGE homes currently listed for sale in San Antonio as of 04/18/2019 are shown below. You can change the search criteria at any time by pressing the 'Change Search' button below. "Immaculate One Story 3 Bedroom 2 Bath Home Home in Encino Ridge. High ceilings, open floor plan, Study with wood flooring & glass doors, interior has many custom features that include granite counters and breakfast bar with rock work, rock fireplace, crown molding, recessed lighting, designer colors, upgraded fixtures and Gas cooking, Backyard Oasis, perfect entertaining area with pergola, flagstone, bi-level deck with great city view. NEISD, Walking distance to world class shopping and restaura"
"Prime location at 281 & TPC Pkwy w/in mins. to shopping, Health Clubs, Retail Centers & Schools. 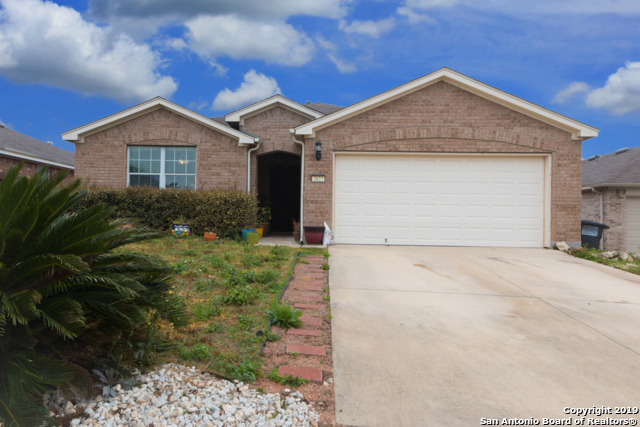 Home is a 4 BR - 2.5 Bath 3-sided brick/stone home that sits on corner lot. It has a Bay Window, with the Master Down, New Carpet, and New A/C Units. Jetted Master Garden Tub with separate shower in Master Bath. Large loft / Game Room upstairs. 42-in Upgraded Walnut Kitchen Cabinets. Silestone counter tops. Lots of storage and yard has a full Sprinkler System. Privacy backyard w/ retaining wall for a"
"This stunning home will not disappoint. The home features a three layer deck, high ceilings, artificial grass for pets, and no carpet. The home has a green belt in the back. This home boasts a split floor plan with a master bedroom with a large closet, full bathroom, and separate tub and shower. Large kitchen with a breakfast bar over looking the family room and the covered patio outside. Come enjoy the peace and quiet under the covered patio and enjoy the view!!"